In the international sections, English and German are taught by native speakers, one hour a day to the children from CP to CM2. These classes are split into two levels: German or English for native speakers, and German or English as a foreign language. In CP, classes in German as a foreign language are given by qualified teachers to the children in the local French section of the school for one or two hours a week. From CE1, these children may continue with German, or begin learning English for four hours a week. 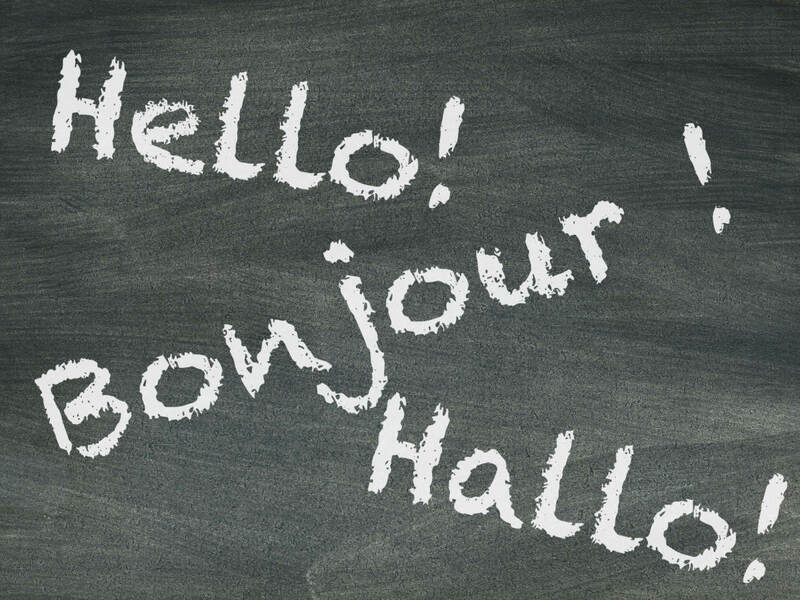 Children from the local French section who are particularly interested in foreign languages can then apply to sit the language test in order to pass into one of the international sections. E English, ES English local, N2 English level 2, N3 English level 3, N4 English level 4 (levels in the international section). These classes are for children who speak fluent English. The program consists of four main elements: listening, oral expression, reading and writing, and follows the English curriculum. History and Geography are also taught from CE2. Children leaving Houille Blanche are thus equipped to comfortably fit back into the English school system. From CP, children in small groups begin with oral activities using the classroom environment as a vocabulary base, and using methods such as songs, games, role-playing etc. From CE2 onwards, reading and writing are introduced along with some grammar. When the children leave CM2, they have adequate level of English to allow them to apply for the Cité Scolaire Internationale Europole. The German course is based on the program of the Nordrhein-Westfalen region, using the corresponding text books, allowing children to fit back into the German school system should they return to a German speaking country. In CP, native speakers of German have five hours of lessons a week in German. The teachers of German are keen to encourage the children to enjoy coming to and participating in these classes, which are structured around German methodology and educational methods. Children work in little groups, allowing the staff to pay specila attention to each child’s specific needs. Games, songs, and craft activities linked to various occasions throughout the school year provide a varied and complete education in German, where culture and tradition form an integral part of the course. The children’s first contact with the German Language is fun! They repeat and learn words with songs, rhymes, little dialogues, pictures, stories and games. From CE2, text books are introduced, providing basic instruction. The aim is to permit the children to acquire sufficient grammar so that, by CM2, they are able to understand written and spoken German, and are able to express themselves. Children learning German help in the preparation of German traditional festivals at Houille Blanche. St. Martin (lamp lit procession), St. Nicolas (songs, stories and snacks), Christmas (help with the Christmas Market), Carnaval…. Through the exchange with a German school in Merdingen (near Freiburg) a group of CM1 pupils spends a week in Germany every year. Here the children realize just how important learning a foreign language is, and they are able to put their German to the test, which is very motivating. In CM2, a group of children from Merdingen come to visit Houille Blanche. The children then all spend a week in the Vercors on a field trip. Children are regularly encouraged to borrow books, cassettes and videos from the German library. The CRI (Cours de rattrapage intégré) is taught by Anne-Marie Visicchio. The aim of this class is to teach French, as a foreign language, to the children recently arrived from abroad (ENA – élèves nouvellement arrivés) allowing them to join the class corresponding to their age-group as quickly as possible. New arrivals are enrolled in the class corresponding to their age, then spend a few hours a week in the CRI class learning French. Children stay in the CRI class for as long as they need to, but the length of their stay is rarely more than one year. These classes involve little groups of pupils of the same level. They initially focus on understanding spoken French and self expression. 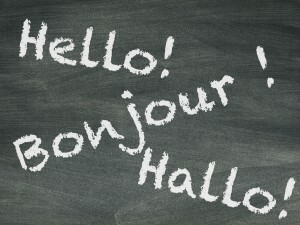 Children begin learning through oral activities that develop their spoken French (games, sketches, puppets), then written French is gradually introduced, which means that the children are soon in a position to be able to follow and keep up with the lessons in their regular class. The CRI also provides lessons on specific French sounds which help children learn to read in French. In general, children learn quickly and are able to fit into their regular age-group class without any problems. The teacher is happy to meet with parents to discuss their child’s progress. You can also read the Grenoble education department web page about the admission and schooling of children newly arrived from abroad: http://www.ac-grenoble.fr/casnav/.